This week, I am featuring Cassie Mendoza-Jones from Elevate Vitality. 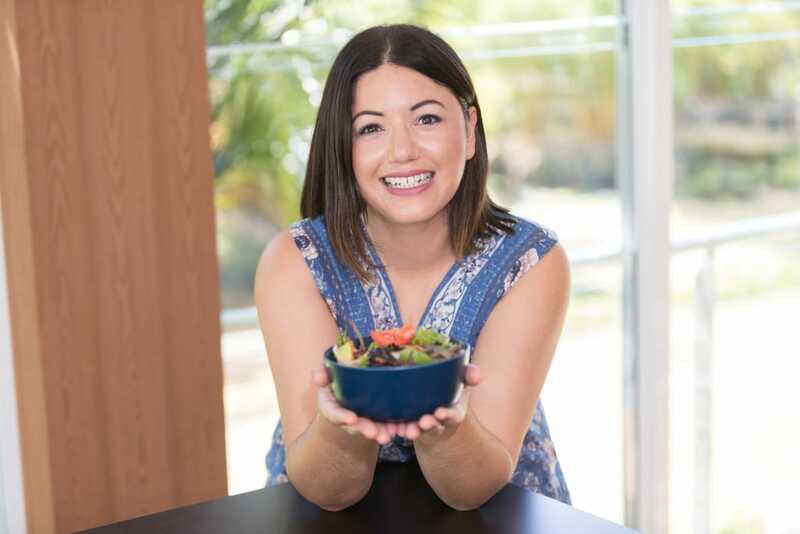 I have been a fan of Cassie’s for several years now, since discovering her website when I started studying my Nutritional Medicine course back in 2011. I hope you enjoy my interview with her. I used to be a hair and makeup artist, but I’d always had a passion for wellness and importantly, understanding the emotional triggers that keep us feeling stuck or blocked. I loved my job as a makeup artist but I felt I could offer women so much more; I didn’t want to just make them feel beautiful on the outside… I wanted them to feel beautiful, whole and healed on the inside. I moved into studying this wonderful world of wellness and then founded my business … and I’m so glad I did! On a personal note, I’m a born-and-bred Sydney girl, with a beautiful family and amazing hubby, Nic. I grew up horse-riding, writing, reading, painting and doing other creative things so I love that in my business today, I can keep creating things I love and using my creativity in new and exciting ways. Yes, I have some very exciting plans! My first book, You Are Enough (Hay House) is being published on 1st April. My book is for you if you always give yourself a hard time, if you constantly compare yourself to other people, chasing self-worth, achievements and perfectionism, and burn yourself out in the process. I can’t wait to release this into the world! My biggest tip is to find what works for you, and honour this. Start with small changes and tweaks, and make consistency the aim of your game, not ‘motivation’. Motivation will come and go, but consistency is, by definition, constant. My biggest tip would be to keep your leftovers—you can do so much with leftovers. I always get shocked if I go to a friend’s house and they throw out leftovers instead of keeping them for the next day. Even if you end up having a small amount of everything, when you put it all together you often get a very delicious creation. I love going to an early morning flow yoga class, grabbing a coffee and heading home to journal, write, read or hang out with my hubby and family. Add a splash of water, a little more nut butter/coconut oil/honey if the mixture is too dry or a little more oats or even some almond meal if the mixture is too wet. Press down into a brownie tin and refrigerate for 20mins before they’re ready to be sliced and enjoyed. You could roll them into bliss balls, or even an ice-tray for bite-sized delights. Cassie Mendoza-Jones is a kinesiologist, naturopath, writer and author-to-be, with her book (Hay House) due for release in 2016. She’s also the founder of the Heartfelt Harmony Society, a collection of online courses and guides to support women in finding freedom and harmony in all areas of their lives. When she’s not working with clients, writing, or creating online courses and programs, she’s getting lost in a good novel, hanging out in a cafe or suiting up for a yoga class. Meet Cassie + get ready to find the most balanced, centred version of yourself at www.elevatevitality.com.au.